My sewing machine is back up and running. After a full service, and the repair of a pulley, it’s working again like a brand-new machine — under $100 in parts and repair costs. The first thing to do was finish this little ‘doily’ that I had made using English Paper Piecing techniques. 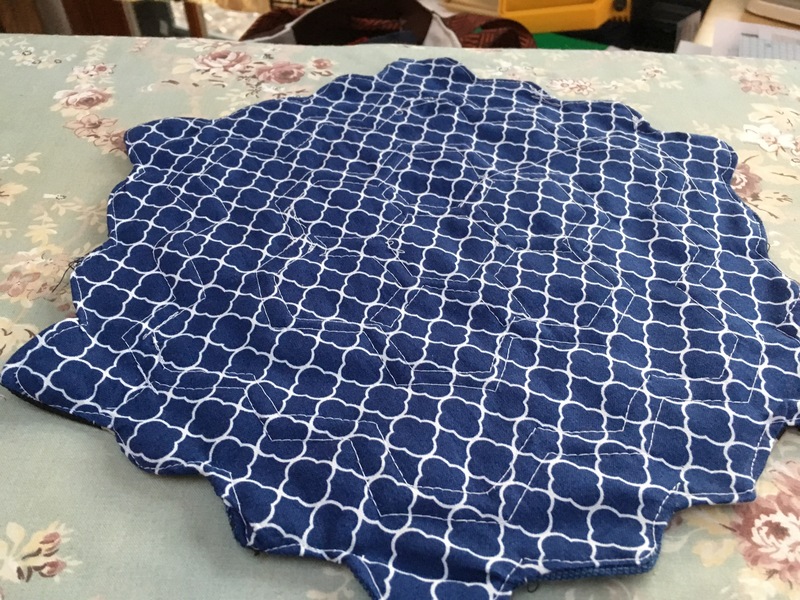 I did a ‘right-sides together’ bag technique to finish the edges with another piece of fabric (a nice blue-tile motif). I then did some decorative top-stitching as the quilt motif. I should have done the work with a quilting ruler and a free-rotation foot. But I don’t have a small quilting ruler or a free-rotation foot. More things to add to the list of tools/gear that I want, I guess. Mistakes: The doily quilting pattern wound up borrowing freely from the pattern of hexagons. The ‘right sides together’ bag-making technique did not work well — I would have done better with a ‘cut, fold under and stitch’ technique with right sides apart. Applique, in other words, was the way I should have gone, rather than sewing right sides together. 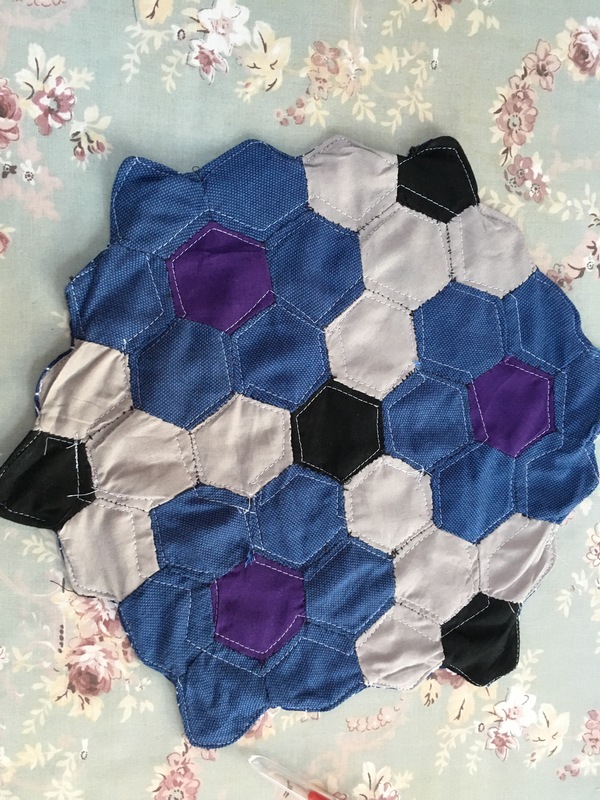 The result was an outer edge that doesn’t have the precise hexagons of the original paper-piecing. Oh, well. This is how we learn, right? The back side is reasonably nice. The white stitching resulted in a repetition or reiteration of the hexagon pattern on the front side, without slavishly duplicating it. The tiles of the front are replicated in the tiling motif of the fabric on the back. All in all, it was a successful project to learn a new set of skills: English Paper Piecing. The first article in the series on EPP is here.